Whether in a tent or a trailer, these camping essentials are a must for anyone heading into the great outdoors this summer. My husband and I have each done our fair share of camping. We’re not professionals by any means, but between weekend jaunts and spending half a summer on the road while living out of a tent, we’ve picked up a few tips and tricks that I believe are camping essentials. There are few experiences I love as much as sitting around a fire at night with stars twinkling overhead. Crawling into a tent to sleep is excitably reminiscent of childhood days spent building forts and creating adventure. With time so limited these days, making the most out of a camping trip is important to me. Sometimes we’re able to get away for only a night and other times it’s a well-planned week. No matter how long you’ve got to escape, these camping essentials are guaranteed to up the ante on your next trip. Book Ahead – This one should seem obvious because, though not always possible, booking ahead removes a lot of stress. So far this season, BC’s provincial campgrounds have been booking up faster than you can blink, so if you can plan ahead, do it. And if you’re heading out spontaneously, cross your fingers and hope for the best! Plan Your Meals – I can’t lie: I seriously love eating charred hot dogs with lots of relish, ketchup and mustard. 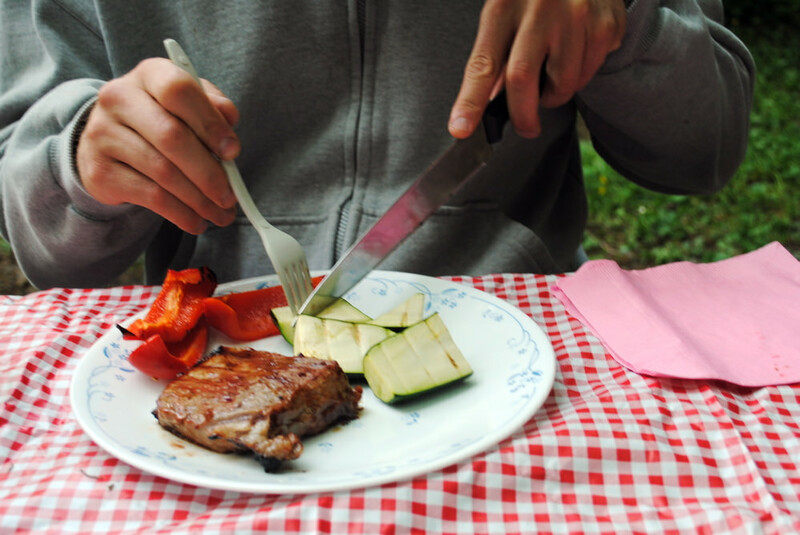 However, standard camping fare can get tiresome – especially if you’re on a longer camping trip. 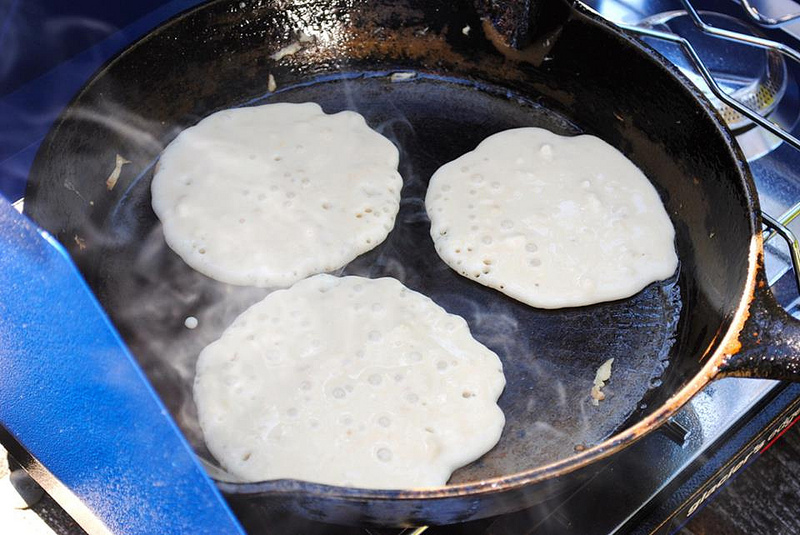 If I have the time, I like to bake cookies or muffins to bring along, cut up veggies for snacks, or stir together dry pancake mix and just add wet ingredients for a skillet pancake breakfast. Pinterest is a wealthy resource of camping meal ideas. If steak is on the menu, bring steak knives. Pack Smart – Do you need three sweaters for a two-day weekend? Probably not. Bug spray? Definitely. I’ve found the simplest way to decide what I’ll need and what I won’t is by mentally going through a day at the campsite from morning to night and considering what kinds of needs could come up throughout the day. 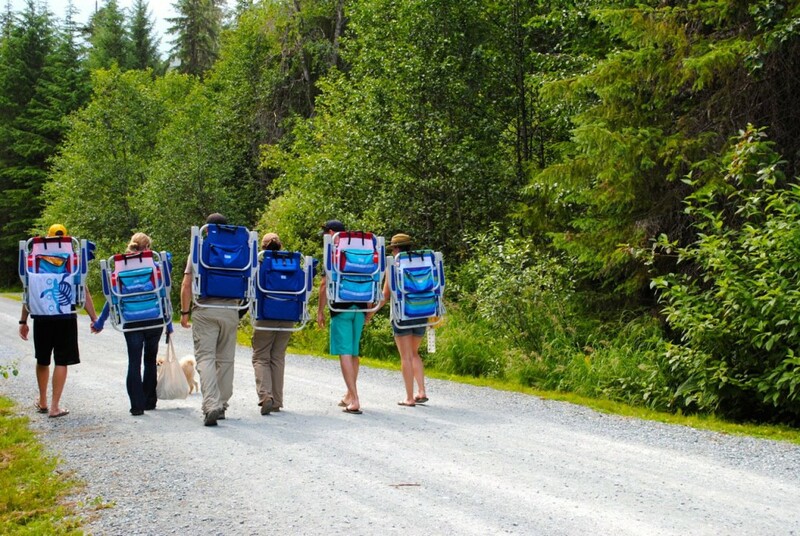 It’s a helpful way to eliminate excess items in your backpack. Stay Longer – In many of our stops last summer, my husband I stayed just a night in some places. Because of our short stays, we ended up being assigned some of the campgrounds’ least-desirable sites. Both Reserve America and the BC Parks Reservation Service often feature photos of the campsites available, so try to get a look at the site before picking your lucky number. When staying the night at California’s Morro Strand campground near San Luis Obispo last summer, we were assigned this dirt strip in the middle of the campground’s drive. Learn the Ropes – Trust me on this one. 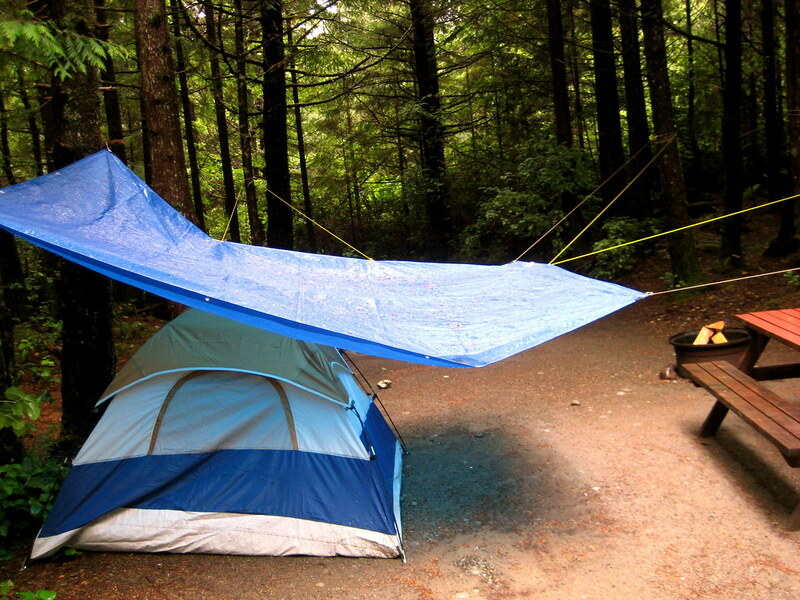 When my friend Jen and I went camping in Tofino years ago and got caught in a rainstorm, neither of us knew how to string up a tarp. We created a spiderweb that barely kept the tarp up and our tent dry, and ended up cutting our surfing weekend short because we were ill-prepared (and ill-skilled). Choose the Right Tent – Over the years my husband and I have acquired two tents: a smaller dome tent for weekend trips and a cabin tent from REI for the extended stays. Consider the amount of space you’ll have to set up your tent and how many people (plus their gear) will be bunking in your portable abode. This was the disastrous tarp I rigged up for Jennifer and I. I must have used 100 feet of rope in total! Bring Water (and Lots of It!) – I subscribe to the “leave no trace” rule when camping, but I also feel it’s important to reduce our potential burden on the places we camp. For example, Hornby Island sees a drastic reduction in its well water supply during the dry summer months, so we try to bring as many gallons of it from a municipal supply as possible. Let Sparks Fly – See no. 5 above. I used to be known for using an entire box of matches and three Sunday-edition newspapers just to get a little fire going. My husband has since taught me the proper (and safe) way to start a fire, and it’s a vital skill to have. Just make sure you check for fire bans, have plenty of water on hand to extinguish it, and leave no hot spots once the fire is out. 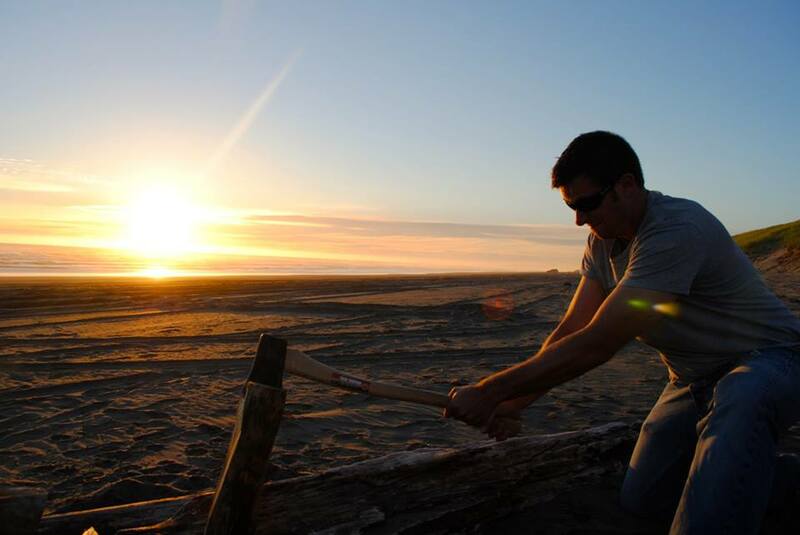 I’ve learned to leave the fire-building up to my husband, but I can safely take over the reins if I have to. The Comfort Zone – Chances are you’ll be spending a lot of time relaxing while camping. Funny how that happens, hey? Comfort is everything when al fresco. We’re huge fans of the backpack-style camping chairs you can get from Costco, and they even feature cooler bags on the back for beach days. On longer trips, we usually bring a hammock, too, for lazy afternoon naps. Camping Essentials – Lastly, there are a few items I will not camp without: a good headlamp (with extra batteries), a deck of cards, a Bluetooth speaker for the iPod, a feather-light “beach read,” and my Santevia alkaline water stick. Camping chairs that can be worn and will keep your beers cold? Yes please! S’MORES TIP: Love s’mores? I thought so. Ditch the chocolate bars and smother your graham crackers with Nutella instead. You can thank me later. Your turn: Is camping one of your favourite summer activities? If so, what are some camping essentials that you’ve picked up along the way? Share your tips in the comments below!